I visited this wetland in the summer of 2015. I was in the Ankara Province of Turkey studying the Northern Anatolian Fault, but my professor stopped us on our way to our field site to show us the Cayirhan Bird Sanctuary. He explained to us that it was formed by an ancient ocean and is now home to 179 bird species. In the distance I could see the Kizilbar Formation, Paleocene-Low Eocene in age. The red litharenite was remarkable against the micrite and mudstone and reflecting a perfect mirror image in the water, and when the light hit it just right it reminded me of a sunrise. 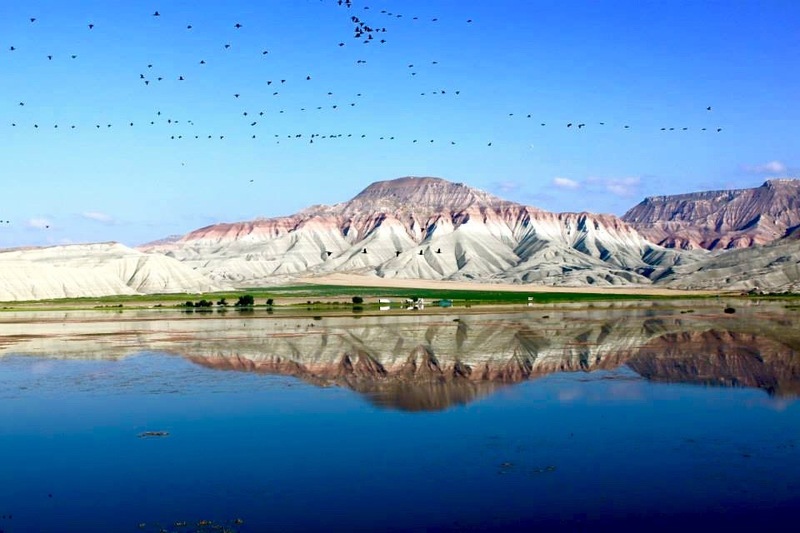 However what was more striking than the beauty of the Bird Sanctuary was the fact that days before I had toured a Turkish coal mine that was just a couple of miles up the road. I was still coming to terms with having been geared up and sent 250 meters underground for a process that exploits the earth natural resources. In my mind the Bird Sanctuary juxtaposition with the Coal Mine is a reflection on the way humans choose to use and interact with the earth around them.